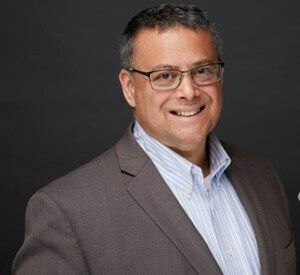 Murray Izenwasser is both the Chief Marketing Officer and Vice President, Strategy and Digital Solutions for AAJ Technologies. AAJ works with clients at every stage of the digital transformation process to make real and impactful change. As CMO, Murray is responsible for all of AAJ’s marketing activities, and the positioning and strategic direction of the firm. This includes all inbound and outbound marketing strategy, content strategic direction, CRM strategy, and online and offline presence. As VP, Strategy and Digital Solutions, Murray and his team help define the Digital Transformation strategies for AAJ’s clients, and leads the strategic direction of AAJ’s Digital Solutions practice. Murray has been working on digital, web, and mobile based systems, content, platforms, technologies and marketing since the mid-‘90s, and is a recognized expert in online, mobile, integrated, and social marketing techniques. His clients over the years have included some of the world’s largest and most recognized brands. Prior to AAJ Murray co-founded and ran a successful digital marketing and technology agency, and has held senior positions with some of the world’s largest digital agencies, including both Sapient (Global Director of Marketing) and Razorfish (Director Client Business and Strategy). In addition to organizing, keynoting, and hosting both the Digital Transformation Forum and the Future of Healthcare Forum, Murray is a sought after speaker and has presented at some of the largest industry, marketing, and technology focused conferences, including (but certainly not limited to): ePharma, HIMSS, Pharma CX, CDO Summit, ITExpo, DMA Global, IABC Global, Social Media Strategies Summit, Online Marketing Summit, Digital Book World, London Book Fair, International Digital Publishing Forum, PubWest, and many others.